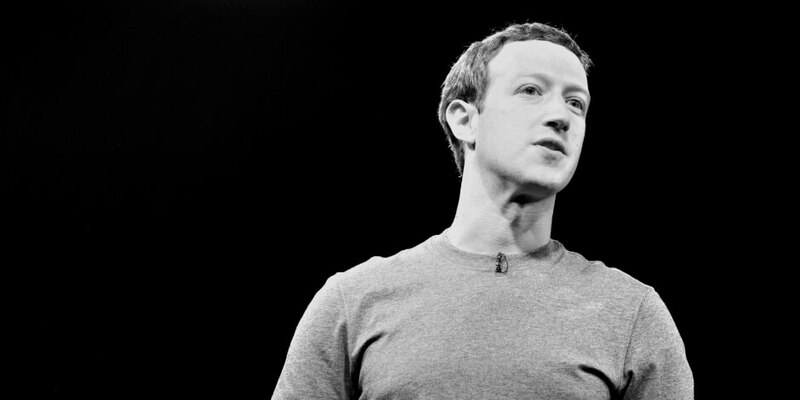 Since Mark Zuckerberg’s 2018 announcement that the Facebook algorithm will prioritize “meaningful interactions” from friends and family over content from brands, it has become trickier than ever to ensure your organic content gets the screen time it deserves. But, Facebook is still the largest social media network in the world. Making its algorithm work for you is key to a successful Facebook marketing strategy. Luckily, Facebook offered several clues in their announcement and official press release about what brands can do to continue reaching customers on the platform. They also ran a News Feed webinar for publishers, which Matt Navaro generously shared on Twitter. If a user shares a piece of content to their wall, that’s great. But what’s even better is if they take the time to send it to a friend (or a group of friends) over Facebook messenger. Of all the “meaningful interactions” listed here, this is the one that makes the most sense to me because—think about it—what’s more meaningful? A friend posting an article to their wall? Or a friend sending an article to you with a note that says, “Hey, just read this and I think you would really enjoy it too”? Yeah. That’s what I thought. How informative the post is. Facebook tweaked its algorithm to highlight “informative posts” back in 2016. But, the term “informative” was based on a survey of users’ personal interpretation. For some users “informative” could mean “news”, while for others it could mean recipes or celebrity gossip. It’s not clear whether that definition has changed since the 2018 update. This means if you haven’t already invested time and energy into posting live videos on Facebook, you 100 percent should do so now. This is one of Facebook’s few concrete examples of content that will perform well under the new algorithm, so we would all do well to pay attention to it. National Geographic has been doing a great job of incorporating live video into their strategy. They post 70 live stories a month reaching over one million viewers, often bringing followers on “live safaris” in the jungle. Watch a leopard on foot LIVE from the Sabi Sand, Greater Kruger National Park, South Africa! See below for some even more specific examples of engagement bait. Facebook promised these types of posts would be “down-ranked” in its News Feed webinar. Businesses should look into new ways to engage customers with Groups, alongside their Page and advertising efforts. The popular Canadian skincare company Deciem is a great example of a brand who is benefiting from Facebook Groups. In the group “DECIEM ENTHUSIASTS,” customers share product reviews, skincare regimens (which always involve Deciem products), advice, and company news (such as the much-talked-about firing of a Co-CEO). This is the single most important piece of advice in this list. Everything about “meaningful interactions” boils down to creating quality content that people actually want to see. And how do you know what people want to see? By researching your audience, running tests, and regularly checking your analytics. We knew the topic would be valuable to our audience of social media professionals. The caption accompanying the content provokes some emotions (relief, and inspiration to be great at your job). It comes across as trustworthy rather than sales-focused (We’re not asking you to sign up for Hootsuite. We’re providing value whether you use Hootsuite or not.). Another way to prompt engagement and comments from followers is to ask questions. In the post below, we asked readers what books they would recommend. Whatever your company size, publishing quality, research-backed content should be the backbone of your Facebook marketing strategy. After that, the rest will fall into place. But now that Facebook is deprioritizing content from brands and publishers, these skills will be more important than ever. Businesses must know how to target the right audiences to ensure their advertising dollars go further. If you need help in that department, we encourage you to check out Hootsuite Academy’s advanced social media advertising course. Our step-by-step guide to running successful Facebook ad campaigns is good too. In the official press release, Adam Mosseri wrote, “Many creators who post videos on Facebook prompt discussion among their followers, as do posts from celebrities.” You could interpret this literally, but I’m willing to guess that the majority of brands on Facebook don’t have access to celeb product promos. But make sure the content still follows all the guidelines in this list. Just because an influencer is posting it doesn’t mean it doesn’t have to be well-researched, valuable, or “meaningful.” It still has to spark conversation. Plus, influencer marketing is a whole other ballgame. Make sure you’re prepared with a strategy before diving in. In the “Priorities for News in 2018” section of its News Feed webinar, Facebook noted that local news would be prioritized. This is great for publishers and businesses that already work the local angle. But, it’s harder for larger, global brands. Try changing things up by narrowing in on different geographical areas every so often. Promote an event in a specific city, or publish stories that affect a specific region. There are many ways to interpret and get creative with this ranking signal. These tips are useful for publishing content on all social media platforms—not just Facebook. As always, there’s no reason to fear algorithm changes if you are already dedicated to providing your customers with valuable, quality content. 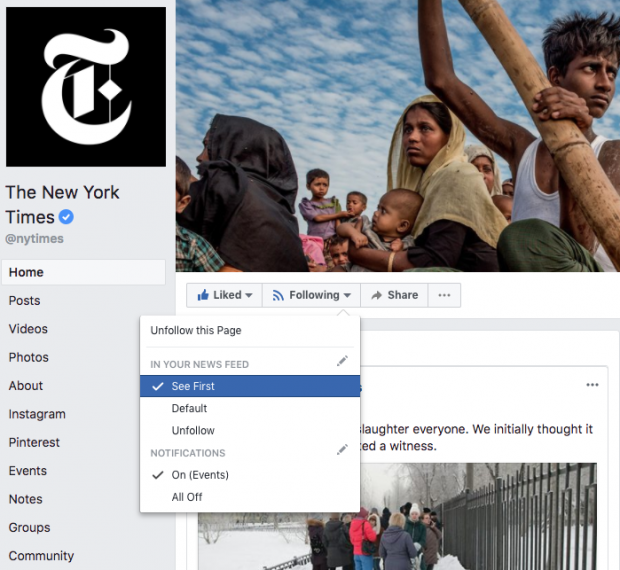 Facebook is working hard to make sure it is showing users content that they care about and that’s from trustworthy sources—so make sure you’re one of them.